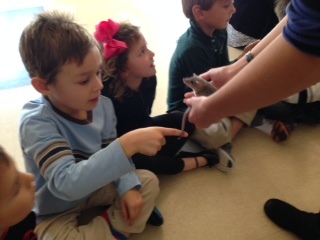 St. Margaret's Day School is proud to include rigorous environmental learning at all age levels. 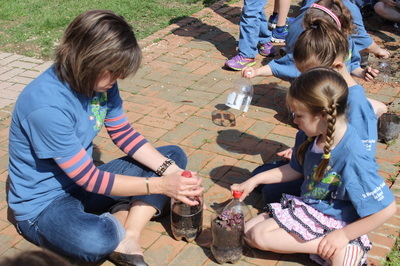 All age groups participate in recycling, composting, and outdoor education. Our students learn about environmental concepts such as watersheds, runoff management and habitat preservation. Click below to learn more! Within St. Margaret's small but dedicated staff, we have made a commitment to environmental stewardship that begins with our teachers and staff. Please click below to find out more about our certifications and qualifications that enhance our ability to provide environmental leaders for the future. St. Margaret's Day School has made extraordinary progress in environmentally conscious operations, waste reduction, and giving back to our community and environment. This is possible because of our dedicated staff, enthusiastic families, and our empowered student population. Click below to see great examples our our progress. While we believe in celebrating our environment through daily enriching activities, we participate in special activities each year and have achieved some remarkable milestones. Earth Day is a big deal to us, and the students are very excited to celebrate and take of our Earth.